This classic ranch home has been fully remodeled resulting in a spacious, open floor plan with generous living areas, each exquisitely updated with modern finishes! Pristine granite counters compliment the custom tile back splash in this bright kitchen designed for easy entertaining! Ample counter space, kitchen island and breakfast bar offer versatility and style! Cozy up to the wood burning fireplace on a chilly evening or relax outside in the sizable back yard! Peaceful family room, den or large office area has been whitewashed and fitted with extra lighting to accommodate any need! Carpeted bedrooms for warmth and comfort! Master bedroom features walk in closet and attached master bath with gorgeous tile and adorable built in shelving to display your favorite trinkets! Semi-circular driveway leads to an oversized carport and plenty of room for RV parking or your personalized landscaping features! 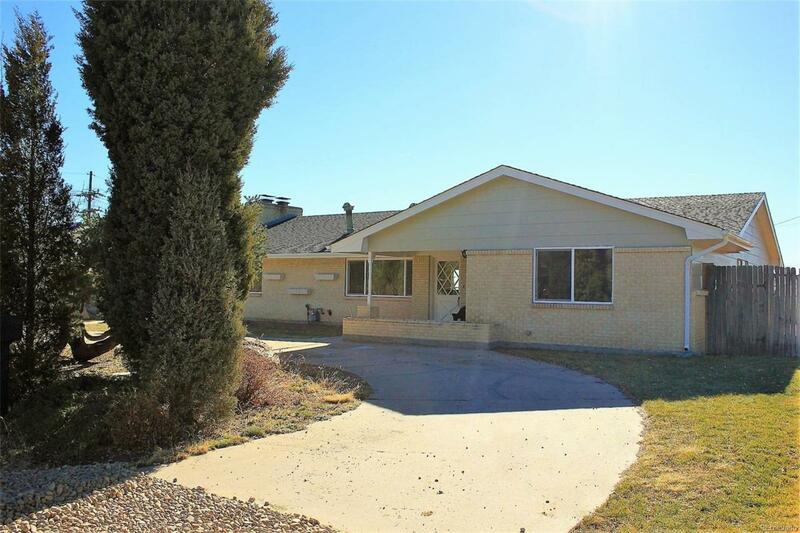 Large storage shed and gorgeous views of Cheyenne Mountain add to the charm! Offered by Main Street Brokers.